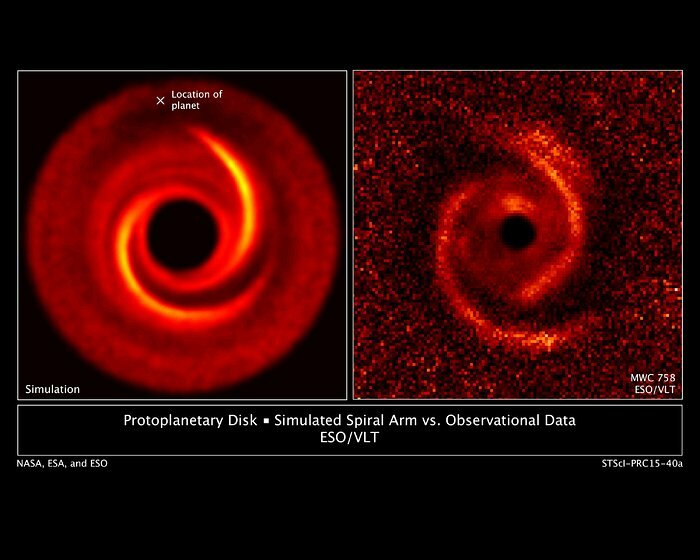 [Right] — Observations taken by the European Southern Observatory's Very Large Telescope show a protoplanetary disk around the young star MWC 758. The disk has two spiral arms that extend over 10 billion miles from the star. [Left] — A computer model reproduces the two-spiral-arm structure; the "x" is the location of a putative planet. The planet, which cannot be seen directly, probably excites the two spiral arms.